Change is in the nature of software development. Most difficult aspects of the craft revolve around dealing with change. How does one keep software extensible? How do you adapt to new business requirements? With experience comes the intuition that some kind of changes are more volatile than other changes. For example, it is often safer to add a new function or type to an application than change an existing one. This is because adding something new means that it is not already strongly connected to the rest of the application. Or at least that’s the assumption. You have yet to decide how the new component interacts with the rest of the application. Usually this is done by a, preferably small, incision in the innards of your software. The first change, the adding, should not break anything. If anything, the small incision should be the only dangerous aspect of the change. Adding something to a well-designed software system should not break existing functionality. Exceptions should be thoroughly documented and communicated. Systems should always be designed and tought so that the rule of additive changes holds. Failure to do so will lead to confusing surprises in the best cases, and well hidden bugs in worse cases. This relies on subtyping as an additive change: S works at least as good as any T, so it is an extension, an addition. You should therefore design your systems in a way that the Liskov Substition Principle, and therefore the rule of additive changes, both hold: An addition of a new type in a hierarchy cannot break anything. Blacklists will often violate the rule of additive changes. Once you add a new element to the domain, the domain behind the blacklist will change as well, while the domain behind a whitelist will be unaffected. Ultimately, both can be what you want, but usually, the more contained change will break less – and you can still change the whitelist explicitly later! Note that systems that filter classes from a hierarchy via RTTI or, even more subtle, via ask-interfaces, are blacklists. 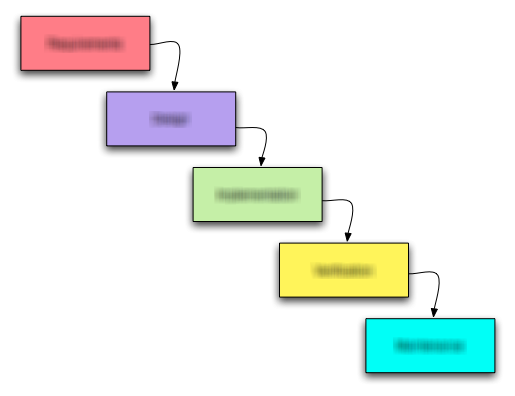 Those systems can break easily when new types are introduces to a hierarchy. Extra care needs to be taken to make sure the rule of addition holds for these systems. Without introspection and reflection, programs cannot know when you are adding a new type or a new function. However, with introspection, they can. Any additive change can also be an incision point. Therefore, you need to be extra careful when designing systems that use introspection: They should not break existing functionality for adding something. For example, adding a function to enable a specific new functionality is okay. A common case of this would be to adding a function to a controller in a web-framework to add a new action. This will not inferfere with existing functionality, so it is fine. On the other hand, adding a member to a controller should not disable or change functionality. Adding a special member for “filtering” or some kind of security setting falls into this category. You think you’re merely adding something, but in fact you are modifying. A system that relies on such behavior therefore violates the rule of additive changes. Decorating the member is a much better alternative, as that makes it clear that you are indeed modifying something, which might break existing functionality. Not all languages or frameworks provide this possibility though. In that case, the only alternative is good communication and documentation! Many engineers implicitly assume that the rule of additive changes holds. In his book “Working Effectively With Legacy Code”, Micheal Feathers proposes the sprout and wrap techniques to change legacy software. The underlying technique is the same for both: formulating a potentially breaking change as mostly additive, with only a small incision point. In the presence of systems that do not follow the rule of additive changes, such risk minimization does not work at all. For example, adding additional function can break a system that relies heavily on introspection – which goes against all intuition. This rule is not a new concept. It is something that many programmers have in their head already, but possibly fractured into lots of smaller guidelines. But it is one overarching concept and it needs a name to be accessible as such. For me, that makes things a lot clearer when reasoning about systems at large.